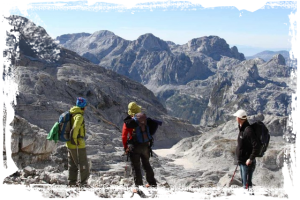 We are specialized in trips in nature and culture in Albania and beyond. 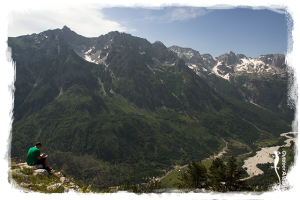 We work with travel agents and tour operators all over the world while offering experiences of the real Albania. We bring our clients in of the beaten track locations besides the main well known destinations – often done by hiking and walking and cycling. In addition we offer rafting, snow-shoeing, mountain biking, white water kayaking, sea kayaking and many more interesting activities. We provide all bonafide travel agents a discount on our published rates and on custom itineraries. 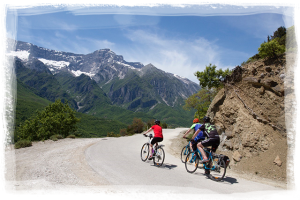 Please contact us to discuss planning and arrangements for Discovery tours, cycling, trekking, hiking, multi-activity and outdoor activities in Albania, Kosovo, Macedonia, Montenegro and Northern Greece. Our adventures will make your guests feel special, valued, and well looked after by our knowledgeable Albanian tourleaders, who will guide them through a wonderful travel experience in either English, French, German, Spanish or Italian. Besides our group travel, we also sell self guided itinereries, tailor made tours, private tours and family holidays. We have experience in the field of incoming tourism since 1991 and know every corner of the country. Please contact us for a sample itinerary or give us al relevant information to start drafting your preferred itinerary.